After 22 years on air, David Letterman's final The Late Show appearance is happening on Wednesday night, the final time he will host before handing over the reins to Stephen Colbert. We've had a lot of warning that this day would come, but, still, it seems incredible that two decades on CBS will be over just like that — in one night. Because, while Letterman hasn't hosted the show for my entire tenure on the planet, he's come pretty close, and, either way, I have no memories of a time before he was on my television. Regardless, the 68-year-old has been a constant presence throughout my life, awkwardly pulling on his collar, commenting on the news in his monologues, and putting together more Top 10 lists over his career than you can shake a stick at. It's going to be weird when he's gone. And, obviously, there are tons of other late night shows that you can watch instead to get your fix — everything from Conan to The Tonight Show to Jimmy Kimmel Live or even The Late Show when Colbert takes it over. But it just isn't the same. No matter how great Jimmy Fallon or Jimmy Kimmel or even Jay Leno are, Letterman had his own style of doing things, and always managed to stand out in the crowd. 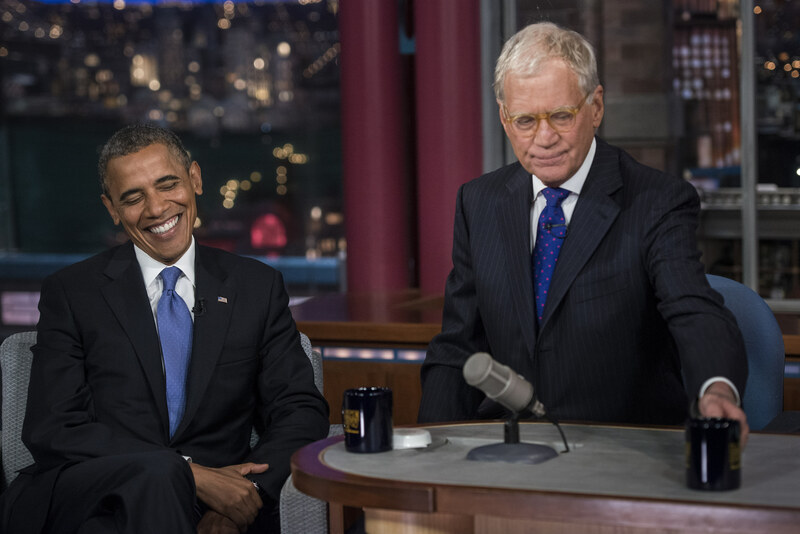 A lot of the time, Letterman is just as polite as the other hosts out there, but he's also not shy about getting the interview that he wants out of you. Remember when Paris Hilton came on his show in 2007, and he would not stop asking her about the jail time she'd just served? It was the interview we all wanted, and the one we deserved. The dude has been a TV host for over 30 years, longer than anyone else in the business — alive or dead — so he has very little to prove when it comes to his methods. For that reason, his delivery is way more laid-back, with a mellow energy that seems to relax his guests. Sure, games and pranks and stuff are fun, but you can see those in other places. If you want to see a celebrity being sit-down interviewed, and honestly talking about their upcoming projects, Letterman is always the way to go. Why mess with a classic? One of my favorite Letterman bits is that he'll poke fun at his own sponsors... but in a way that actually benefits them, because it makes the moment stick in your head. Just look at him ruefully shake his head at JC Penney's tag line. Any time a new drummer comes on his show, he makes a point of going over and asking them about their drum kit. It really makes it seem like he cares about more than just his own performance. Not only is Letterman an executive producer on his own show, but he produces other projects for the network as well through his production company Worldwide Pants. He's done it for many over the years, but probably the most well-known example is Everybody Loves Raymond. Good eye, Letterman, good eye!